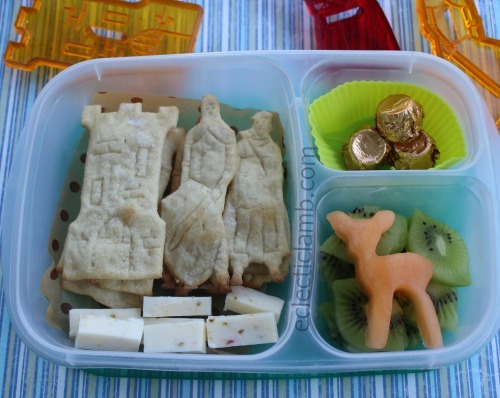 Today as part of our 50 Summer Activities, I have Robin Hood themed food. 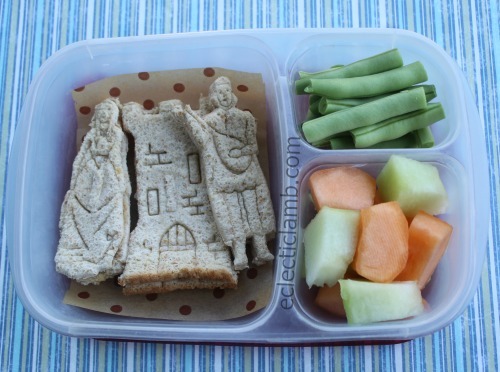 We read the book, watched the BBC Robin Hood TV show and ate bento lunches. I used vintage cookie cutters to make sandwiches and crackers and I also made a mashed potato and cheese wanted poster. My nephews don’t like sandwiches for lunch and I wanted to use the Robin Hood cookie cutters so I made some homemade crackers. You can see some of the vintage cookie cutters in the photo. 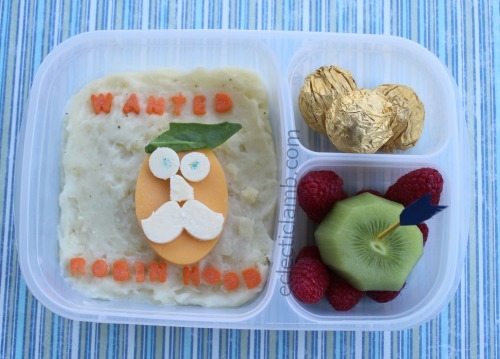 This one is a little goofy but my nephew requested his Robin Hood food have a mustache. It was a struggle but this is what I created (his younger brother helped). I was feeling a little mischievous with the arrow in the kiwi and did not put it in the center. My younger nephew told me it should have been in the center since Robin Hood was a perfect shot and he moved it (but after I already took the photo). This entry was posted in Bento / Cute Food, Food and tagged cheese art, EasyLunchboxes, homemade crackers, Robin Hood, sandwich. Bookmark the permalink.